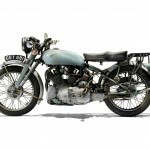 The upcoming Bonhams Banbury Run Sale is set to be a motorcycle enthusiast’s dream, with 102 lots of iconic bikes available to the highest bidder. 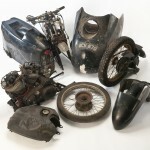 Within the sale, an intriguing duo of Brough Superiors will be offered for auction from a family synonymous with motorcycles for generations – Myerscough. 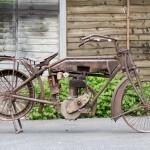 The motoring history behind the Myerscough family began in 1893 when Leonard Myerscough opened a business repairing and selling bicycles, followed by motorcycles and automobiles. At the peak of this business, five locations serviced the Liverpool area under the banner L Myerscough & Sons Ltd. Encouraged by his father, the eldest son, Len Jr, took up dirt track racing in the late 1920s, enjoying success as a contracted team rider for both the Belle Vue Aces and Preston teams from 1928 to 1931. 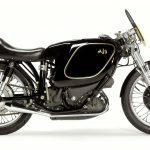 Len Jr traveled across the UK and Europe racking up several wins on his Rudge against the very best European riders and always gave 100% for the fans’ entertainment. He later had three sons, the eldest being John Myerscough. 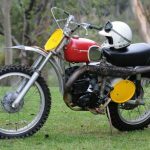 John, like his father, was also an avid collector and trader of Vintage motorcycles, becoming the custodian of several of Len’s bikes. 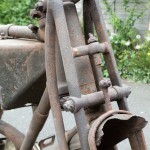 Over the years he added significantly to his collection, with his passion for Broughs leading him to add his personal favourite, the 11-50, to his collection in the 1970’s. 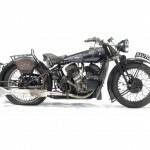 John Myerscough’s Brough Superior 1,096cc 11-50hp is part of The Banbury Run auction – a piece of iconic motoring history estimated at £18,000 – £26,000 (U.S. $30,340 – $43,825) and offered without reserve. 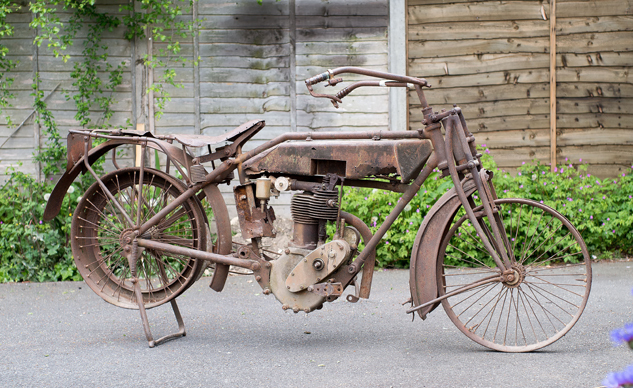 The 1928/31 Brough Superior Overhead 680 is the second bike in the Myerscough duo and another highlight of the sale, estimated at £28,000 – £38,000 (U.S. $47,196 – $64,052) . This early, Vintage-era Overhead 680 has been in the Myerscough family’s possession since at least 1969 and is thought to have been owned from new. 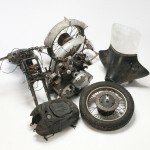 Legendary superbike of motorcycling’s between-the-wars ‘Golden Age’, the Brough Superior was synonymous with high performance, engineering excellence and quality of finish. 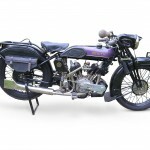 In the early 1920’s, the name ‘Brough Superior’ quickly established itself as synonymous with excellence, often referred to as the ‘Rolls-Royce of Motorcycles’ – a phrase that was first coined in 1921 when the marque was barely two years old, and has followed it ever since. 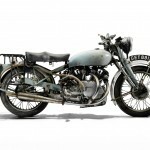 Elsewhere in the sale, four Vincent motorcycles with a combined estimate of almost £100,000 (U.S. $168,559) will be going under the hammer. 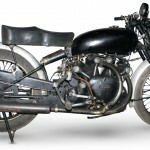 The Vincent quadruplet includes a 1951 Vincent 998cc Black Shadow (£30,000 – £40,000/U.S. 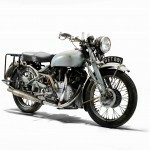 $50,567 – $67,423), a 1951 Vincent 998cc Rapide project (£15,000 – £18,000/U.S. 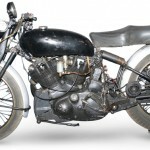 $25,283 – $30,340), a 1952 Vincent 998cc Rapide project (£10,000 – £15,000/U.S. 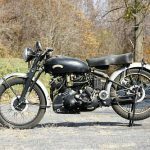 $16,855 – $25,283), and ending with a 1955 Vincent 998cc Black Prince project that has been kept within the same family for the past fifty years (£15,000 – £25,000/U.S. 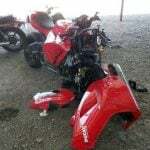 $25,283 – $42,139). Bringing a royal air to the sale, lot number 63 is formerly the property of His Majesty King Onyeama of Eke, Nigeria. 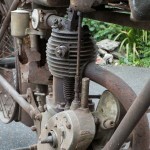 With an estimate of £2,200 – £3,200 (U.S. $3708 – $5393), the 1921 Rudge 499cc Multi’s original owner, King Onyeama, received it as a gift from His Majesty King George V.
An enthusiastic cyclist who favoured Rudge’s products, Kind George had bestowed his Royal Warrant on the Coventry firm, so the choice of one of its motorcycles as a gift for foreign royalty seemed only natural. Onyeama n’Eke was king of the Igbo people of south eastern Nigeria, a state that had been created by the merging of several West African kingdoms by the colonial power, Great Britain, in 1914 during King George V’s rule. Born in the 1870s, King Onyeama was accepted as the paramount ruler of his people in 1928 and reigned until his death in 1933. 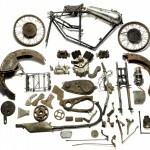 He attended the British Empire Exhibition in London in 1924, visiting Buckingham Palace, and may have been given the Rudge during this visit. 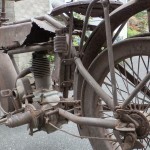 The King’s grand-daughter was told by her mother that the Rudge was used to run errands for him and was affectionately known within the royal family as ‘ogba tu, tu, tu’ – ‘the one that goes tu, tu, tu’. 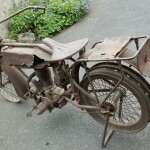 Not used since the late 1920s, the Rudge was shipped back to the UK in August 2013 by the family from their residence in Lagos where it had been kept in dry storage. 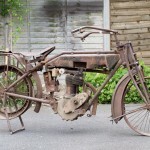 The sale, held in conjunction with the world famous VMCC (Vintage Motor Cycle Club) Banbury Run, boasts an eclectic combination of motor cars and motorcycles across an array of automotive brands, spanning decades of history. 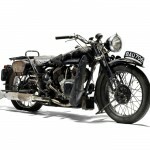 The annual sale takes place on 7th June in Woodstock, Oxford, and holds over 200 lots of motor cars and motorcycles.